Munich - When Jürgen Klopp took charge of Borussia Dortmund, few could have anticipated just quite how much he would achieve, and how soon. Since taking over in 2008, Klopp has masterminded the club's rise from mid-table obscurity to the absolute top of the game in Germany. Back-to-back Bundesliga titles, the latter with a record points tally, were capped off last May with a 5-2 annihilation of Bayern Munich in the DFB Cup final, securing Dortmund their first domestic double. Klopp's team play football of the highest order, which is hardly surprising given the quality that runs through the squad. From front to back, the Yellow-Blacks boast some of the best talent in Europe - and it showed as they recently navigated, or rather cruised through, this season's putative 'Group of Death' in the UEFA Champions League. In doing so, BVB not only topped a group comprising La Liga winners Real Madrid CF, Premier League champions Manchester City FC and Eredivisie top dogs AFC Ajax, they also sailed through it unbeaten: all the more impressive considering where the club were when the then relatively unknown Klopp parked on the doorstep on July 1, 2008. 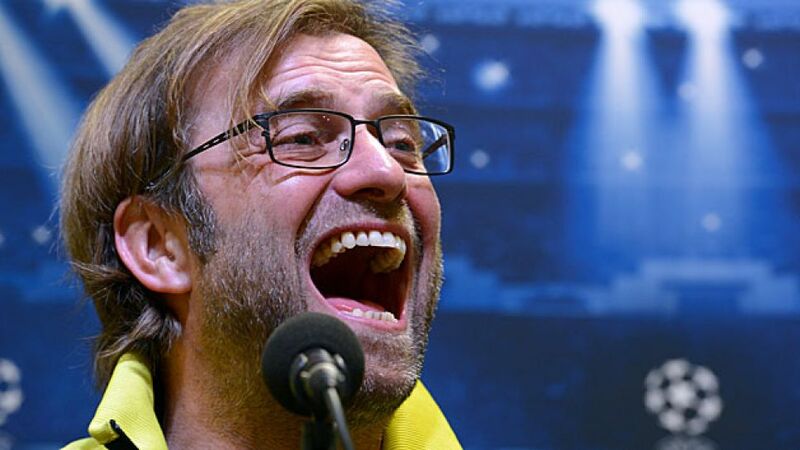 Dortmund had just finished down in 13th place in the table. Fast-forward 12 months and, having already laid down a future precedent with a pre-season success over Bayern Munich, Borussia edged a step closer to European competition with a sixth-placed finish. The following campaign saw Klopp's men secure their place in the UEFA Europa League. That though was just a small taste of things to come for a team made up of veritable stars in the making, from Mats Hummels to a very young Mario Götze, virtually unknown Japanese prospect Shinji Kagawa and Polish star in the making Robert Lewandowski. In May 2011, Dortmund dethroned mighty Bayern to win their first league crown in nine years. The following season they were champions again, having overturned an eight-point deficit on their illustrious rivals on the way to recording the highest-ever points tally in the Bundesliga (81), off the back of a 28-game unbeaten run. History was made. Klopp has, beyond question, moulded an exceptional team - but should we really be that surprised? After all, he had previously guided FSV Mainz 05 up the Bundesliga for the first time and from there into the UEFA Cup, before trading up in 2008. So if anyone has a chance of making significant inroads into FC Bayern's seemingly unassailable lead at the top, it has to be Jürgen Klopp.